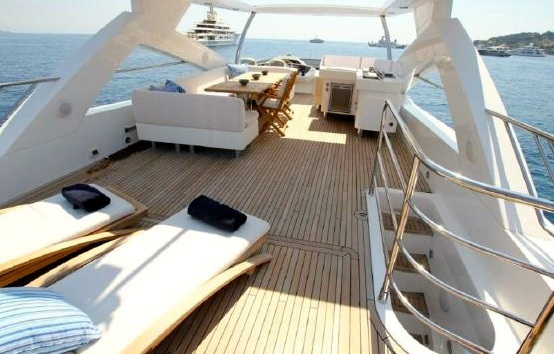 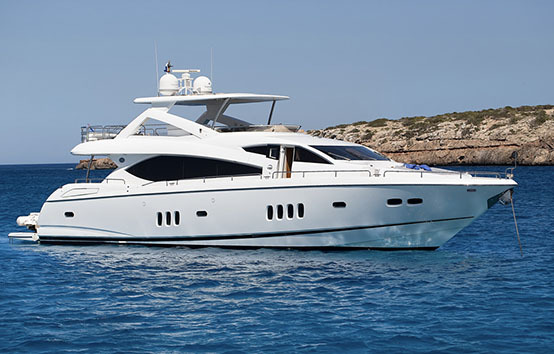 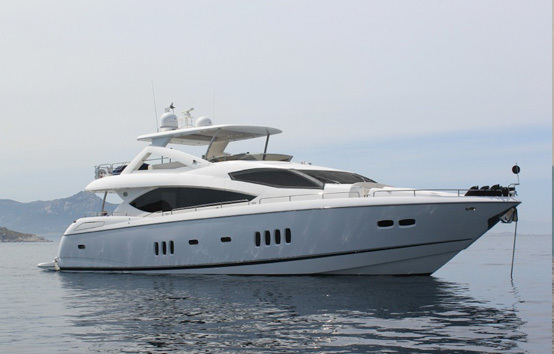 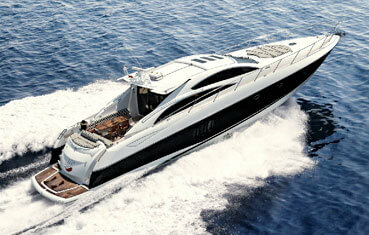 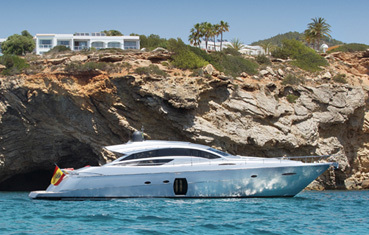 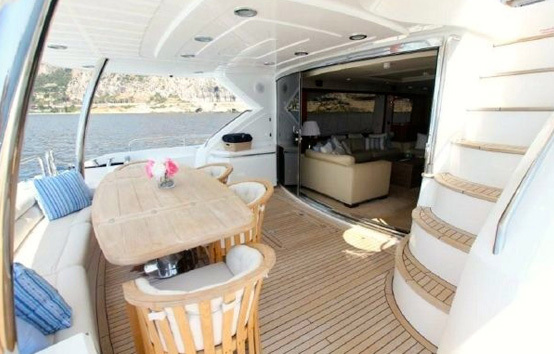 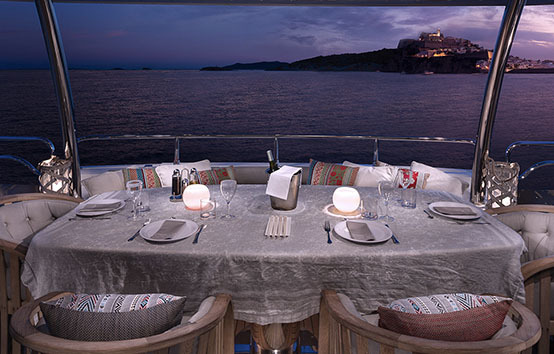 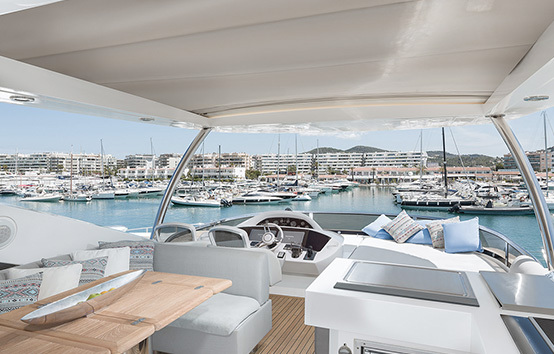 Sunseeker 27m is a seductive combination of style and exclusivity, this Yacht is a good choice for sailing in Ibiza. 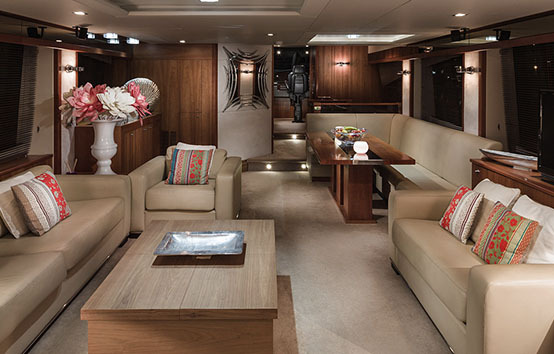 Inside the main saloon is a large welcoming space with a big lounge and dining area. 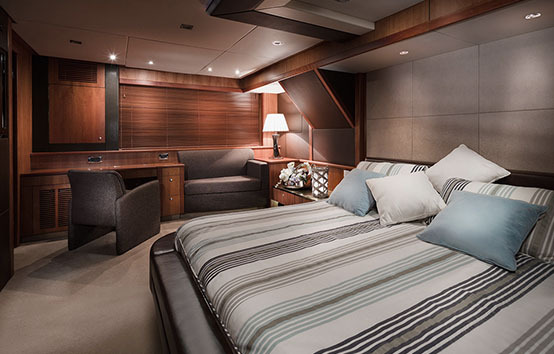 The Master cabin and guest cabins offer privacy and a big comfort. 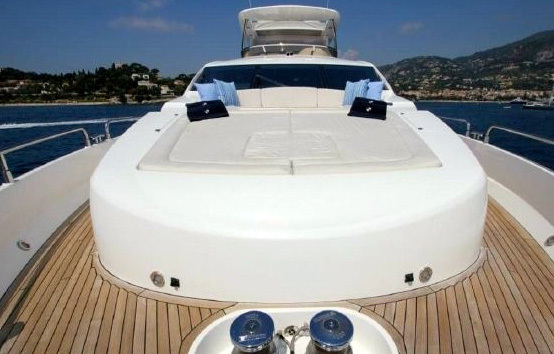 With a top speed of aprox. 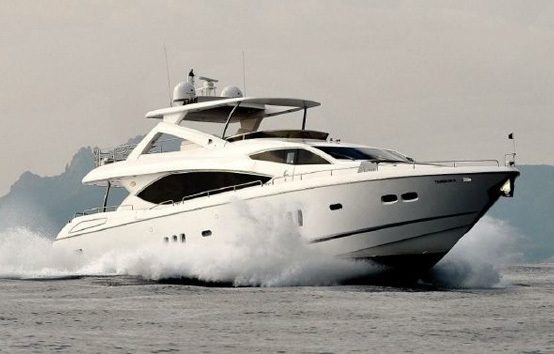 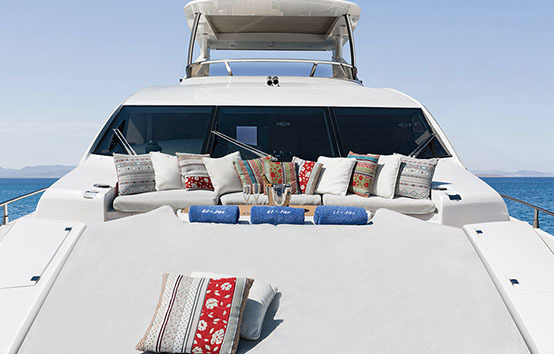 30 knots, you can experience an exhilarating open-air ride from the flybridge or relax and enjoy the stunning scenery from seating and sunbathing areas both fore and after. 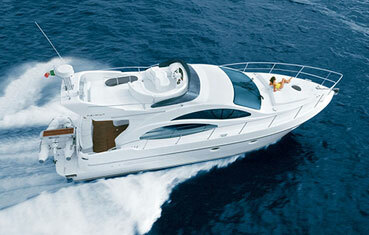 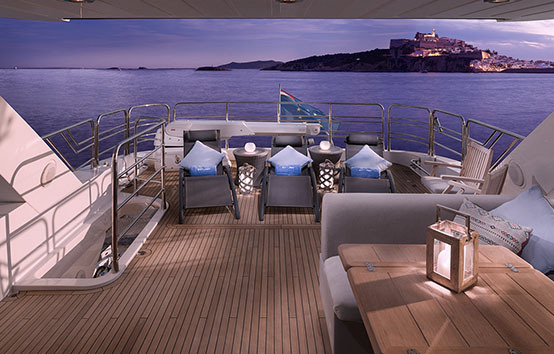 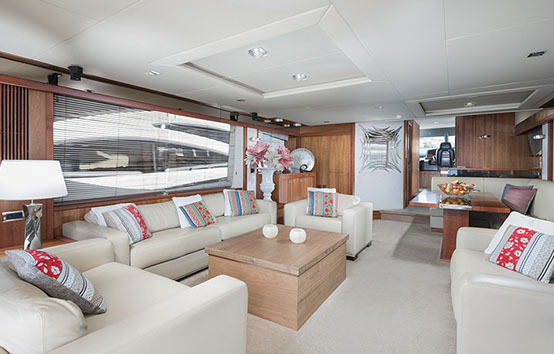 TV, Hi-Fi amassing Bose surround system, Wifi free on board, Hydraulic bathing platform, Stabilizers. 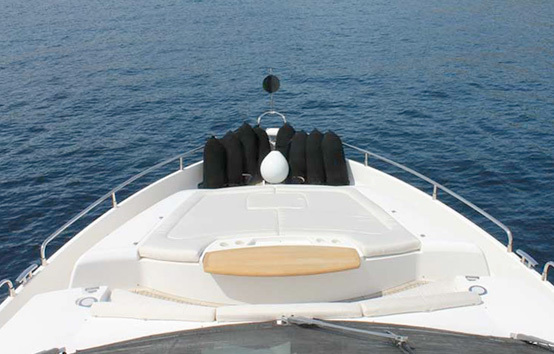 Jet rib, Donut, Wakeboard, Water skies, Snorkel equipment. 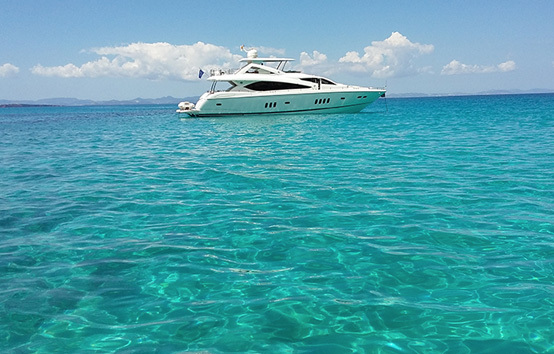 A Jet Ski and the famous SeaBob can be ordered for rent.